Beautiful one level home on 41+/- gorgeous acres makes this an easily manageable Virginia Farm which is perfect for horses or other livestock. Stunning mountain views. Convenient to Harrisonburg. You will fall in love with this Virginia Country home in Orange County. The exceptional home features old house charm with today's modern conveniences. Four bedrooms and an in-law suite. Comcast Internet! 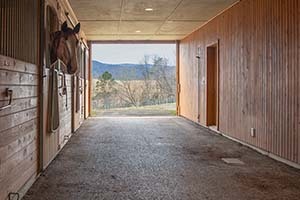 This exceptional horse farm in Madison County offers an indoor arena, nine-stall center aisle stable, outdoor dessage ring and a lovely one-bedroom stable apartment. $895,000. Convenient to Charlottesville, Virginia, this small Orange County farm offers a lovely three bedroom home, a cottage, workshop and a stable on 25+/- acres. $650,000. This Amherst County VA Horse Farm includes a six-stall barn, a three bedroom home, pond and beautiful Blue Ridge Mountain views on its 73+/- acres. 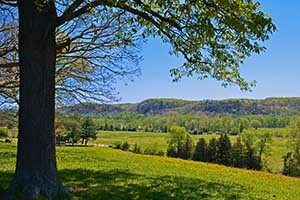 Build your dream home on the hill overlooking your pastures or vineyard. Property has a nice stream. 11+/- additional forested acres may be purchased. Five theoretical division rights. 736+/- acre productive farm in Somerset for sale with approximately 375 acres of tillable land, cross-fenced pastures and feed-lot with auto-waterers, two homes, two cottages and Rapidan River frontage. The crop farm is under contract. The cattle farm is still available. 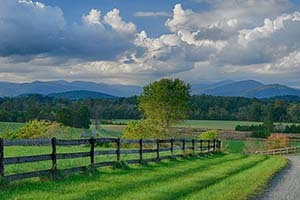 Quite possibly the most beautiful farm in Virginia consisting of 517+/- acres and located north of Charlottesville, Virginia. 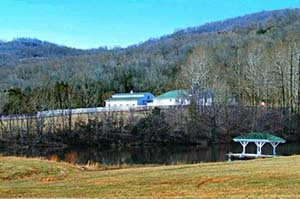 Breath-taking Blue Ridge Mountain vistas, frontage on the South River, and fenced for livestock. Established vegetable gardens, orchard and berry patch. 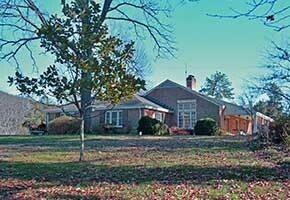 These 683+/- acres in Buckingham County, Virginia includes a charming old home in need of some TLC. This well-priced property will make a beautiful country retreat or farm. If you are considering a move to Charlottesville or Central Virginia, sign up for our relocation emails and learn all about Charlottesville and the surrounding counties. 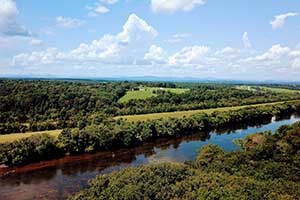 227+/- acres fronting on the James River in Nelson County Virginia has a lovely building site on a hill overlooking the river. 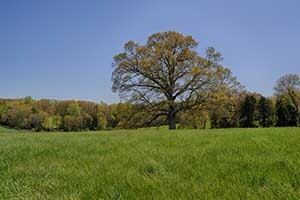 This land is currently used for pasture, hay land and forestry. 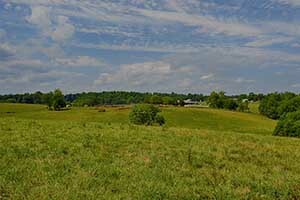 Build your home on this 260+/- acre farm located near Lake Anna, Orange and Gordonsville, VA. 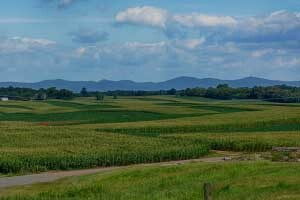 The land has North Anna River frontage and is a beautiful farm currently used for hay production. Enjoy views of Old Rag Mountain from your log home in Madison County, Virginia. The home consists of large great room with expansive windows allowing the mountains to become one with the home. The 33+/- acres with a nice stream make this a great small farm or country retreat. This Buckingham Retreat is a paradise for anyone loving nature. With open fields, streams, several trails complete with a Bunk Cabin and Barn, this is the perfect set up for an affordable country retreat. SOLD! 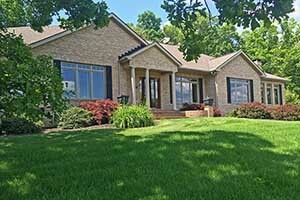 Treetops, located in Nelson County, offers privacy and beauty on 19+/- wooded and elevated acres. This property is perfect for a weekend retreat in close proximity to the Nelson County Wine and Brew Trail. 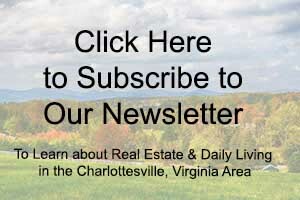 Subscribe to the Gayle Harvey Real Estate newsletter and receive quarterly updates on the Charlottesville VA Area Real Estate Market. 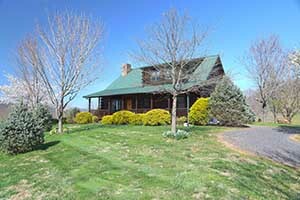 Exceptional Cattle Farm in Virginia on 365+/- in the Somerset area of Madison County. The farm consists of several beautiful building sites, a restorable 1850's home and frontage on the Rapidan River. 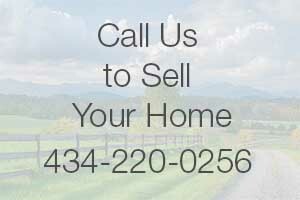 Contact Gayle Harvey Real Estate to see how we can help you market and sell your Central Virginia Home! 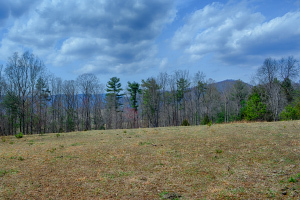 Exceptional James River lots with distant Blue Ridge Mountain views. 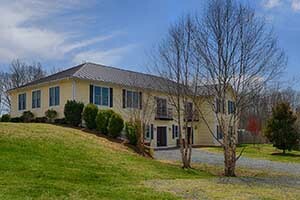 Located near the cute village of Scottsville with Charlottesville only 35 mintues to the north. Now available! 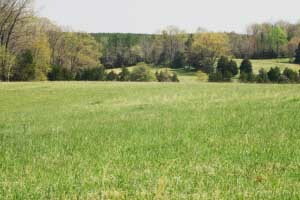 231 acres located in Madison County consisting of two tax-map parcels. The property has a couple of nice streams and private meadows. There are approximately 100 acres open with the balance in forest (mostly pine). 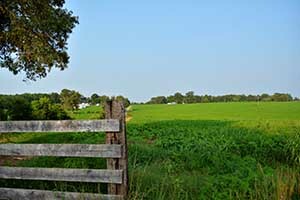 This 90+/- acre farm in Orange County Virginia offers lush pastures and hay fields in addition to several nice building sites. Frontage on two state-maintained roads. 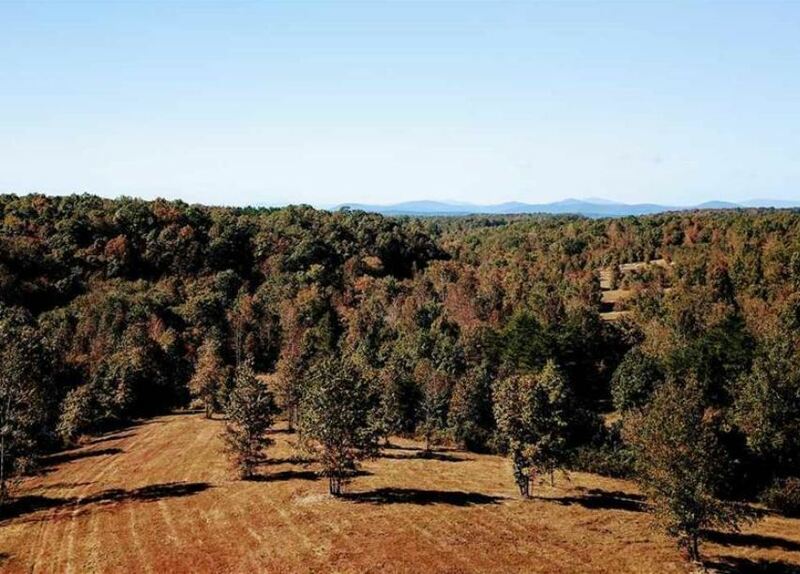 These 146+/- acres located in Fluvanna County near Carysbrook consist of mostly hardwoods and a nice stream, making for a great hunting or retreat property. 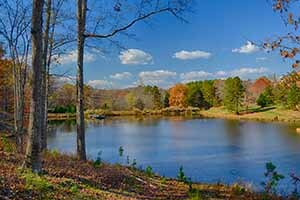 194+/- acre Fluvanna County farm offers productive farm land, three rental homes, two ponds & a bold stream. 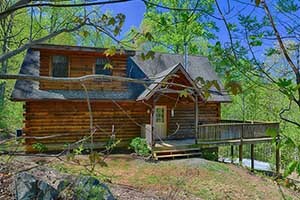 Located about 20+/- minutes from Charlottesville you will find this 256+/- acre retreat with two cottages, a workshop and a beautiful lake. 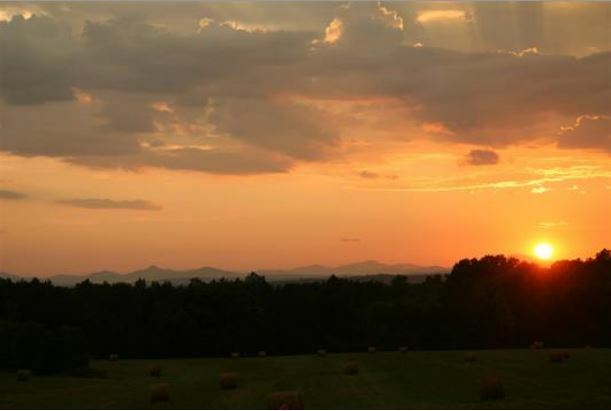 This Albemarle County VA farm on 127+/- acres has beautiful distant Blue Ridge Mountain views, a ranch home, productive hay fields and several creeks. 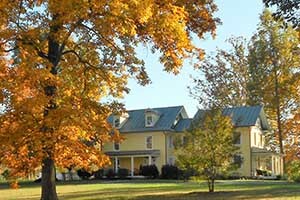 The farm is located just minutes from the town of Scottsville. This Albemarle County Small Farm is perfect for horses, llamas, sheep, goats and alpacas. Enjoy harvests from the fruit trees and raised bed gardens. The spacious and well-built home has a very practical open floor plan. Charlottesville was recently voted the number one most liveable city in the country by Frommer's Cities Ranked and Rated, and much of this distinction is due to the beautiful homes, farms, land and estates that give the area its charm and character. We understand that you have specific wants and needs for your Charlottesville VA real estate purchase and aim to make your search as simple and uncomplicated as possible. For this reason we have created several niche websites to help you navigate the vast array of Charlottesville real estate listings. 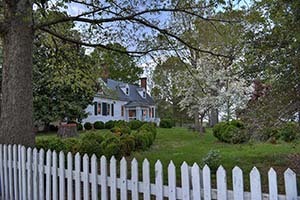 For the historic home lover we offer you, www.CharlottesvilleHistoricHomes.com. If a newer home is more your thing, visit www.CharlottesvilleVaNewHomes.com. Need a lot or land for your new home? Visit www.CentralVaLand.com. Most of the architecture around Charlottesville VA is very traditional with Jeffersonian and Colonial influences. If you prefer modern or contemporary homes, then visit www.CharlottesvilleContemporaryHomes.com. Other sites that might be of interest are www.CentralVaFarms.com and www.VaFarmsAndEstates.com. At Gayle Harvey Real Estate, Inc. we have experienced real estate agents and brokers who will listen to your specific criteria for your new home and help you to quickly target the Charlottesville VA area homes that will fulfil your wants and needs. We will work as your advocate and will show you any homes for sale listed in the Charlottesville Multiple Listing Service (MLS) at no cost to you. The sellers placing their homes for sale in the MLS have committed in advance to pay the buyer agent fees. Contact us today and it will be our pleasure to create a customized search for you containing your specific criteria. Whenever a new home or property comes on the market matching your specific wants & needs, it will appear in your inbox saving you time from sorting through all of the Charlottesville VA real estate listings. Gayle Harvey Real Estate, Inc. covers all the counties surrounding the city of Charlottesville, starting in the rolling hills of Louisa, Fluvanna, Orange and Buckingham Counties to the east and rising through Madison, Greene, Albemarle and Nelson Counties westward to the picturesque vistas of the Blue Ridge Mountains. Each county has its own special flavor, however all share a rich tradition and special place in the history of our country. I hope you enjoy yourself as you explore further the beautiful Charlottesville Va Real Estate inventory and our site, Central Virginia Properties. If you are thinking about relocating to the Charlottesville, Virginia area, we will be happy to send you our relocation information to help you learn more about the area as well as Charlottesville VA Real Estate!